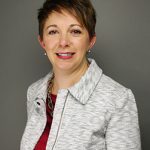 Rebeca Romero Rainey is president and CEO of the Independent Community Bankers of America® (ICBA), the leading advocacy organization exclusively representing community banks. She is one of the nation’s foremost advocates of the community banking industry, with a focus on regulatory reform for our country’s nearly 5,700 community banks. She has met with President Obama and President Trump to discuss issues that are top of mind for community banks. A third-generation community banker born and raised in Taos, N.M., Romero Rainey is the former Chairman and CEO of Centinel Bank of Taos. Upon graduating from Wellesley College, she returned home to Taos with the dream of continuing her family’s business of running the town’s only local community bank. 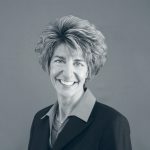 Her broader service to the community banking industry began when she joined the board of the Independent Community Bankers of New Mexico, where she served as president in 2007-08. She entered the national stage by becoming active within ICBA and serving on several committees. Romero Rainey also played a key role in the formation of ICBA’s Minority Bank Council and served as its first chairman. 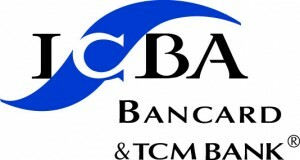 Later she was nominated to become a member of ICBA’s Executive Committee, and in 2016, became ICBA chairman. Romero Rainey has also served on the Federal Deposit Insurance Corp. Advisory Committee on Community Banking and the Kansas City Federal Reserve Community Depository Institution Advisory Council. She has been featured on CSPAN, MSNBC, CNBC, NPR, and has testified before Congress, and delivered speeches before the Federal Reserve, OCC and FDIC. Romero Rainey has a long history of community engagement and collaboration among community stakeholders. She is the co-founder of the Bridges Project for Education, a nonprofit focused on helping first-generation college students. She was also selected as Taos Citizen of the Year in 2009 and has been awarded the New Mexico Governor’s Award for outstanding women. In addition to graduating from Wellesley College, Romero Rainey holds a degree from the Pacific Coast School of Banking. Mike Patterson is the curator for the Evel Knievel museum located in Topeka, Kansas. Patterson, owns Historic Harley Davidson, which, not coincidentally, is right next to the Evel Knievel Museum. Patterson bankrolls and spearheads the museum displaying artifacts collected largely by Lathan McKay. Patterson had a life changing moment seeing Evel Knievel jump, at the Kansas State Fair in Hutchinson when he was four years old. He remembers the day vividly and that is what inspired him to start the museum. Historic Harley-Davidson and the Patterson family have been in business in Topeka for 70 years. During that time, under the guidance of Henry, Dennis and now Mike, the dealership has focused on providing a great value for their customers along with the highest level possible of customer service. 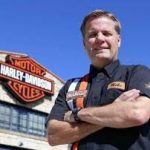 Historic Harley-Davidson, under Mike’s leadership, has also built a nationwide reputation as the Harley-Davidson dealership for the restoration of vintage motorcycles. This reputation led to the opportunity to restore “Big Red” – Evel Knievel’s 1974 Mack truck and trailer. This successful project led Mike to the vision and creation of The Evel Knievel Museum located here in Topeka. He has always worked to create a dealership destination for visitors and customers to visit Topeka from across the country. The Evel Knievel Museum has brought that vision to a new level by extending it across the globe. Since the Evel Knievel Museum’s grand opening in July of 2017, the museum has received national attention in newspapers, radio talk shows and television news all over the world. USA Today ranked the museum as a Top 5 new attraction for 2017. The museum received visitors from all 50 states within the first 3 months of opening, most of which had the museum as their primary destination for their trip. It has received outstanding reviews from all media outlets and 5 star average ratings on all attraction reviews sites. Jim holds a B.S. degree in Finance from St. Cloud State University in MN. 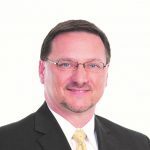 Prior to joining United Bankers’ Bank (UBB) in early 2002, Jim gained eight years of experience in the fields of Asset Liability Management and economic forecasting. During his banking career, he has worked for financial institutions as large as $5 billion in assets. Jim developed and manages ALMEdge®, UBB’s asset/ liability modeling product. This product is currently used by over 250 community banks in 14 states. Jim hosts an annual users group conference which regularly draws over 200 community banker’s from around the U.S. Jim is a former member of the faculty at the Graduate School of Banking at the University of Wisconsin, Madison, where he taught courses in Asset/Liability Management. Jim is an economics columnist for the Great Lakes Banker Magazine and is a guest commentator for local news outlets such as Fox9 news and WCCO radio on matters of finance and economics. Jim is a regular on the national speaking circuit for many banking and industry associations and events. He specializes in the topics of risk management and economics. Melanie Hall is the Commissioner of the Montana Division of Banking and Financial Institutions. She provides the overall leadership to the Banking Division, which is responsible for the supervision of 49 state-chartered banks and 9 state-chartered credit unions with over 31 billion in total assets. In addition, her division licenses and examines over 3,700 non-bank financial entities including mortgage lenders and mortgage brokers, consumer loan companies, sales finance companies, title lenders, deferred deposit lenders and escrow businesses. In order to protect Montana consumers, the Division regularly assesses the safety and soundness of all state-chartered depository institutions as well as the compliance of all regulated entities according to Montana state law. Commissioner Hall obtained her B.A. in Economics from Eckerd College in St. Petersburg, Florida, and her juris doctor from Tulane Law School in New Orleans, Louisiana. 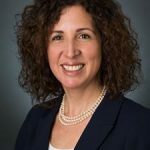 She has been an attorney in private practice dealing with civil litigation in a wide variety of areas including maritime law, environmental regulation, commercial transactions and class action litigation. 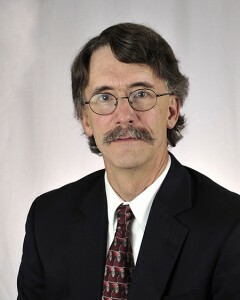 Patrick Barkey became director of the BBER in July 2008, after serving as director of health care research since April 2007. He has been involved with economic forecasting and health care policy research for twenty-four years, both in the private and public sector. He served previously as Director of the Bureau of Business Research at Ball State University in Indiana for fourteen years, overseeing and participating in a wide variety of projects in labor market research, and state and regional economic policy issues. He attended the University of Michigan, receiving a B.A. (’79) and Ph.D. (’86) in economics. ANGIE MURDO, CPA, CFE, Shareholder, AZ. 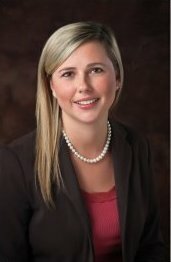 Angie Murdo, CPA, CFE, shareholder, provides consulting services to businesses and individuals. Her service concentrations include audits, systems design and implementation, evaluation of internal accounting control systems, internal audit and compliance exams, financial statement preparation and analysis, and business advisory services. Clients served include financial institutions, manufacturing, construction, and transportation. Angie is a member of the American Institute of CPAs and the Montana Society of CPAs. She is also a member of the Association of Certified Fraud Examiners. In addition, Angie serves as Treasurer of the United Way of the Lewis and Clark area and the Secretary of the Helena Chapter of CPAs. Angie graduated from the University of Montana in 2000 with a Master of Accountancy and a Bachelor of Science in Business, Accounting emphasis. She enjoys hiking, camping, skiing, and spending time with her family.